*NEW Lower Price! 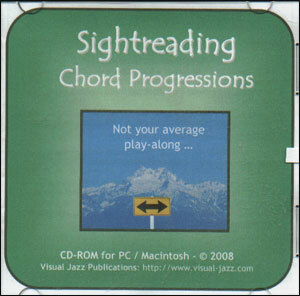 * - Version 6 of the Sightreading Chord Progressions (SRCP) CD-ROM is here! It now has 96 chord progressions, 239 play-along MP3's in many styles, and printed chords for Concert, Bb, and Eb instruments, featuring unusual and interesting chord progressions. It also features hyperlinked book chapters that help you learn the art of negotiating challenging chord progressions - on first reading! 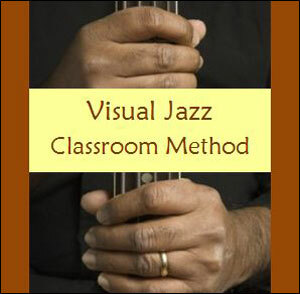 The Sightreading Chord Progressions (SRCP) CD-ROM is Part 2 of the Visual Jazz CD-ROM Suite (see below for related items). It now has 70 play-along MP3's and printed chords for Concert, Bb, and Eb instruments, featuring unusual and interesting chord progressions you don't see every day. Includes 70 tunes - with Odd Meters, Mixed Meters, Unusual Phrase Lengths, Long Tunes, etc. - all the the same great price!